The evolving organizational need to deliver software solutions sooner, while maintaining flexibility and compliance, calls for a powerful cross-platform Software Configuration Management (SCM) system that can protect critical software and lifecycle assets, provide audit trail for changes, and support parallel development and code reuse. Please fill out the form below to the access the document. Yes, I accept the Privacy Statement and want to receive latest information from Kovair. ClearCase includes the requisite tools for supporting SCM. It forms the base for configuration management for many large and medium sized organizations and can handle scalability issues with ease. As an SCM tool, ClearCase is ubiquitously used as it provides the major SCM capabilities, such as version control, workspace management, parallel development support, and build auditing. However, to maximize the returns from your ClearCase investment, you must extend its functionality by integrating it with IDEs and tools from other domains, such as Requirement Management, Test Management, Change Management, and Defect Management. ClearCase naturally integrates with IBM offerings in these domains, such as Rational ClearQuest, Rational Software Architect, and Rational Team Concert. However, with organizations opting for a heterogeneous software development environment, ClearCase is often required to integrate with other best-of-breed ALM tools. 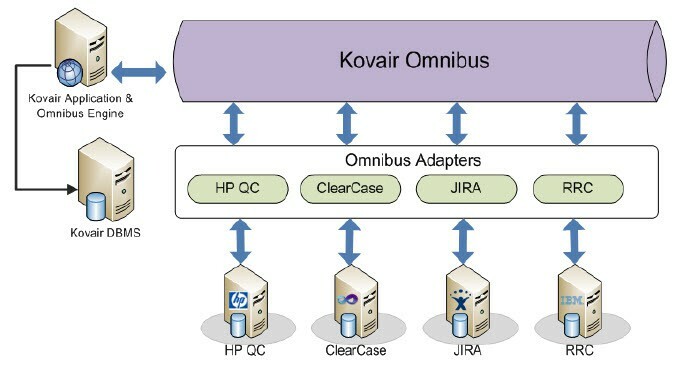 ‘Kovair ClearCase Integration Adapter’ lets you integrate ClearCase with a wide array of ALM tools, such as JIRA, QC, and SharePoint. By integrating ClearCase with these tools, software development teams can easily collaborate on projects regardless of whether they are located within the same department or geographically distributed. 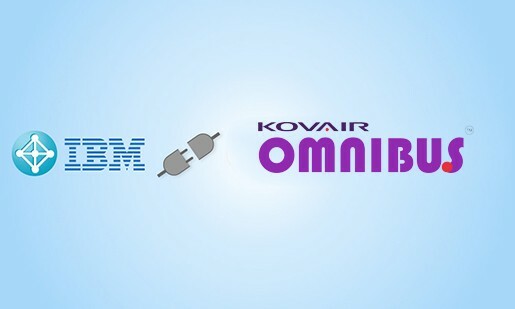 Kovair provides a vendor-neutral ALM platform called Kovair Omnibus Integration Platform to which you can connect your ClearCase instance using Kovair ClearCase Integration Adapter. This allows ClearCase to control the access to software assets originating in other integrated tools and enables driving a consistent organization-wide process across all silos of software development. Ensures better control over software development. Enhances collaboration between QA and Development teams regardless of the tools they are using. Helps you get granular visibility of the valuable software assets that teams across your organization are building and maintaining, from the tool of your choice. Ensures cross-tool visibility, requirement traceability, and process automation. Allows you to track code units corresponding to other artifacts, such as defects and change requests recorded in other integrated tools. Allows you to access specific versions or latest version of code snippets in ClearCase from other development tools. Files can be added or checked out directly from within IDE to accomplish an assigned job. ClearCase files and file versions can be linked with artifacts of other tools. Events in ClearCase can trigger workflows in other tools. Outward publishing of SCM events occurring inside ClearCase. Consolidated data collection and reporting to aide project assessment. Easy to configure and customize using web based codeless configuration screens.